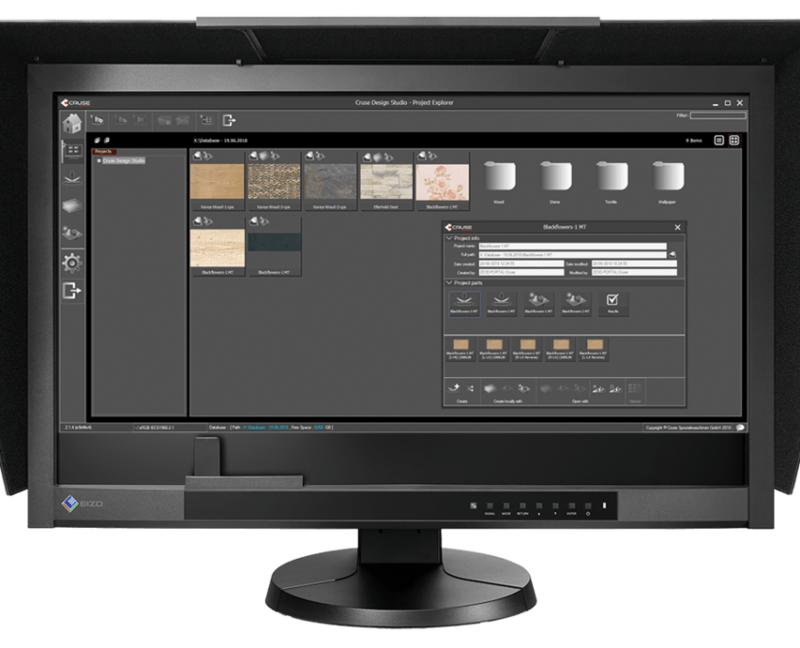 The clear and easy-to-use interface with separate interfaces for each tool ensures control over your projects and the progress of your daily scanning work as well as further processing in the various tools Image Stacking and Factory at any time. An intelligent and clear folder structure displays all already created scans and calculated results as project parts in different folders of the main project. At any time you can start new calculations centrally or another network computer and view and rate their results in the CRUSE image preview or an external image editor. With the integrated, database-based project and workflow manager, you always have an overview of your projects and the associated scan data for further processing. The integrated workflow manager ensures that your daily scanning work can be processed smoothly. User friendly and modern. The completely redesigned, yet user-friendly interface of our scanning software. Processing their scans with new and well-known, proven features simplifies their workflows through group scans in many different lighting settings. Image Stacking was developed by CRUSE software specialists to continually create new designs from the existing scan data. By swapping and mixing texture scans, light-angle device scans, and LED backlight scans, they get real, high-quality new mixes of the various scan data that they can re-save. Factory contains all the tools you need for a high-quality calculation of 3D elevation information. With numerous export options also for 3D printers and gravure rollers. Contains the CRUSE 3D Viewer for viewing results from all angles. All software applications are located on a user interface and can be controlled individually. Work in parallel on different projects and track their progress. The Notification Center keeps you up-to-date and allows you to calculate Image Stacking and Factory as needed. Other useful tools support you in your daily work. The Project Manager, which you can access via the Project Explorer, gives you an overview of all your project parts and information. Here you will find him a separate folder your scan data and the results of your calculations from Factory and Image Stacking are listed in the Result folder and can be accessed via Image Preview or an external image editor. With Workflow Process, you determine how the further processing of your scan data should be done before the actual scan process. Create workflows for Image Stacking or Factory. Start the desired scans and Workflow Process processes them one after the other and then loads the scans into the desired tool. With group scans you have the possibility to select scans with different light and texture settings and have them processed one after the other. Via message windows they are constantly informed about the state of the scans or notified when a manual intervention (collecting light deflectors) is needed. Scan on the scan computer and send your data to a network computer for further calculation in factory or in image stacking. As soon as the scanning process is completed, the project manager sends the data to the selected network computer in the corresponding tool. In the Notification Center you will be informed by a message when the data is ready and you can start the calculation. All workflow scans that you want to further edit on the network, such as Factory and Image Stacking, are displayed in the Notification Center in Design Studio on the appropriate network computer. Select the job you want and start it easily in Notification Center. With Image Preview you have direct access to your scan data in Project Explorer. Check the brightness, the color pixels, the histogram and the RGB values. Easily call up the metadata of your scans and keep a central overview.